(29 cm), 215 (1) pp., illustrations (some in colour). 422 catalogue entries. 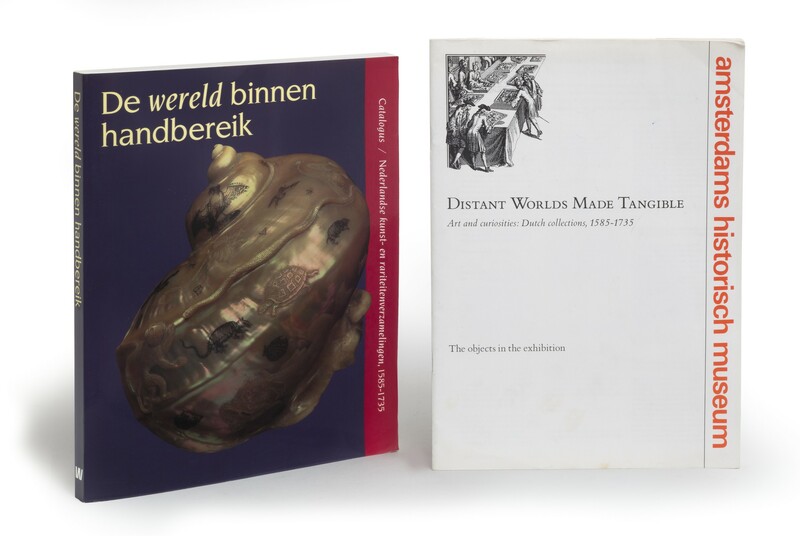 Loosely inserted is a supplement in English with abridged entries of the objects in the exhibition, “Distant worlds made tangible. 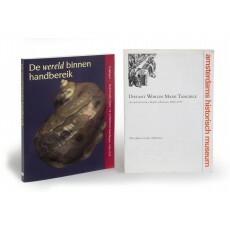 Art and curiosities: Dutch collections 1585-1735”. Publisher’s pictorial wrappers. - An exhibition focused on Dutch collectors and collections of natural and artificial objects in the seventeenth and early eighteenth centuries (reviewed by Peter Parshall, in Print Quarterly, volume 10, June 1993, pp.180-182; noticed in Quaerendo, volume 23, 1993, pp.304-305). A companion volume of essays is not present here (ISBN 9789066303522). ¶ Fine copy.